The company was founded in 1913 by Manuel de Almeida with the designation "Almeida em Comandita", which exclusively dedicated itself to the Port Wine trade. In times of economical and political crisis in Europe, which expanded on a global level, many entrepreneurs lost amounts of money and went into bankrupcy. 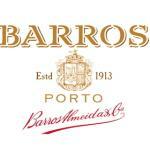 But this was not the case of Barros: His company grew and is one of the most recognized names in the industry nowadays. Later in the 20th century, Barros started to grow grapes and produce Port Wine himself. The vineyards are in Quinta de S. Luiz, in the North of Portugal. The vineyards contain 90 hectares of land, where beautiful and Port Wine-typical grapes are growing: Such as Touriga Nacional, Touriga Franca, Tinta Roriz and Tinto Cao.